Prime Minister Stephen Harper has appointed five new senators to sit in the Upper Chamber, including one chosen by voters in Alberta. 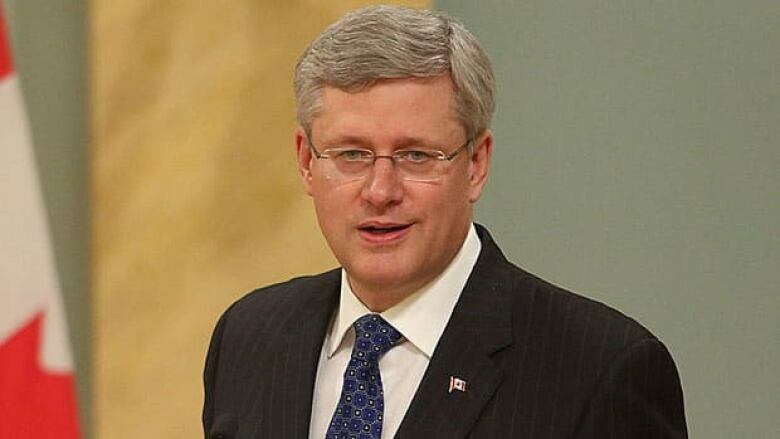 Harper made the announcement in a press release Friday afternoon. Denise Batters, a Regina lawyer and mental-health advocate whose late husband, former MP Dave Batters, committed suicide. Lynn Beyak, a small business owner from Dryden, Ont., with experience in real estate, insurance and tourism. Doug Black, a Calgary lawyer, as well as vice-chair and senior counsel of the law firm Fraser Milner Casgrain LLP. Victor Oh, a Mississauga, Ont., entrepreneur and president of Wyford Holdings, a property development and management business. David Wells, a St. John's executive who most recently served as deputy CEO of the Canada-Newfoundland and Labrador Offshore Petroleum Board. The appointments take effect immediately, bringing the total number of Conservative Party seats to 65. The Liberal Party has 36 seats, with one senator claiming Progressive Conservative membership and two others sitting as Independents. This round of appointments leaves one vacancy. Black was selected by voters in Alberta in a Senate consultation process last spring. Sometimes referred to as Senate elections, they are non-binding votes run in conjunction with provincial elections. Black outpolled all other candidates in last year's provincial Senate race. Denise Batters, who most recently ran regulatory affairs for the Crown Investments Corporation of Saskatchewan, appeared at a House committee last year to call for a federal suicide prevention plan. Dave Batters struggled with depression and killed himself when he was 39. Harper spoke at his funeral. Batters was first elected in 2004, but decided not to run for re-election in 2008. When he announced he wouldn't seek another term, he said he had been ill and was overcoming a dependency on prescription medication. Senators are formally appointed by the Governor General on the advice of the prime minister. All new appointees have pledged to support the government in its efforts to make the Senate more democratic and accountable, including legislation to limit the term lengths of senators, and encouraging the provinces and territories to hold a democratic process to select nominees for appointment to the Senate, according to the news release that announced the appointments. "I look forward to working with these talented individuals in Parliament," Harper said in the release. "Their collective experience and dedication are most welcome as our Government continues to work on addressing the needs and expectations of Canadians from coast to coast to coast." The Senate returns for sittings on Tuesday.